Freshwater clams -- aka naiads, unionids, freshwater mussels and even oysters -- are only distantly related to their marine counterparts, the true mussels or true clams. Approximately 30 percent of the world's freshwater mussels inhabit the United States, a significant majority of them in the nation's Midwest. Unfortunately, more than half of these species are classified as threatened, endangered or species of concern, including those in Lake Erie. 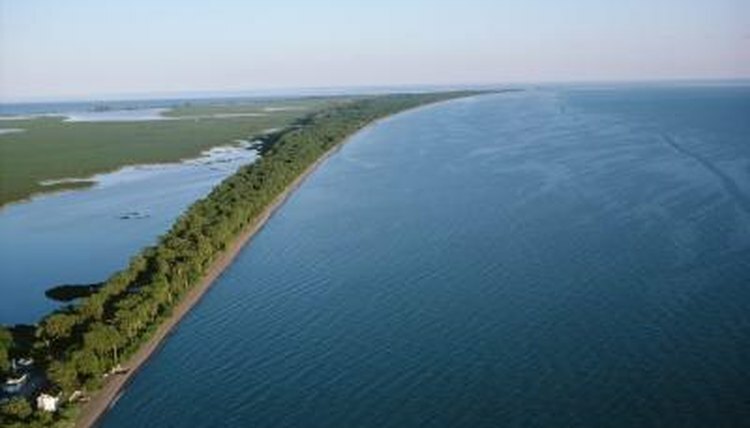 Historically, Lake Erie was a haven for more than more than 34 native species of freshwater clams, ranging from the tiny, delicate members of the Sphaeriidae family to the more robust pearl mussels of the Unionidae family. With names like threeridge, mapleleaf, pimpleback and fatmucket, these freshwater bivalves once sustained a thriving freshwater-pearl button industry. They naturally filter and purify aquatic systems, function as early warning systems for changes in water quality and provide food for otters, herons, fish and other animals. But today, freshwater mussels represent the most endangered group of animals in the United States. From the overharvesting of large numbers during the late 19th century "Pearl Rush" to insults to their habitat, mussels have experienced dramatic declines across the country. Lake Erie is no exception. The U.S. Fish and Wildlife Services estimates that 70 percent of the country's freshwater mussels are extinct, endangered or in need of special protection. In the early 1970s, industrial and agricultural runoff polluted Lake Erie's waters with excessive amounts of phosphorous, accelerating algae growth and killing fish. Federal legislation passed in the years that followed helped to limit the amount of phosphorous entering the lake, but a new and more catastrophic problem reared its head -- or shell -- in the late 1980s when the zebra mussel arrived in the Great Lakes in the ballast water of trading ships from the Caspian Sea. In no time, the mussels proliferated in Lake Erie's waters, colonizing vast surfaces such as stones, vegetation and, preferentially, the shells of live, native mussels. Unable to open their shells under the weight of zebra mussels, infested unionids die within a year or two. In waters plagued with zebra mussels, including most of western Lake Erie, virtually all native clams have been eliminated. In 1996, scientists with the U.S. Geologic Survey, while working to restore Metzger Marsh, a wetland along the shore of western Lake Erie, discovered a large population of zebra mussels and five live native clams. As they began draining the marsh, many more clams were discovered, burrowed in the sediment. The scientists carefully collected and relocated 6,000 of these animals, representing 20 species, including three Ohio-threatened species: the Lilliput, the fawnsfoot, and the three-horn wartyback. Most interesting, only 1 percent of the animals were colonized by zebra mussels, leading the researchers to hypothesize that burrowing protected the clams from infestation. They later demonstrated that clams were encouraged to burrow by warmer temperatures, and those clams' attached zebra mussels either died from the low levels of oxygen or were knocked loose. Many of the animals collected were returned to the marsh in early 2000 and will hopefully function as brood genetic stock to recolonize Lake Erie should zebra mussel populations decline. Zebra mussels -- as well as another exotic mussel invader, the quagga mussel -- have the potential to reap irreparable harm to native biodiversity, not only in Lake Erie but across the United States. While scientists work to slow the spread of the invasive bivalves, citizens are encourage to do their part by supporting and following mussel quarantine, inspection and decontamination programs.